Last night I gathered in celebration with the group of Fall Cleansers. Together we shared insights, observations, and reflections on what it was like to become more conscious and clear about the way we created space in our environments and in our own bodies. Be it simplifying diets, choosing to take in less stimulants from food, electronics, substances, and social engagements, the results for many were that less was much more. The group shared feelings of feeling lighter, clearer, more connected, spacious with time, and more conscious about what, when, and how they nurtured themselves. The conscious waking up is the vision I have for everyone, not just those who participated in the cleanse, but, for the Lila community, for the global community. 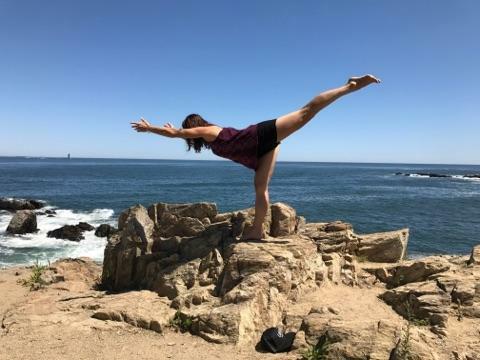 Be it cleansing, practicing asana mindfully on your mat, or allowing yourself to truly be present in conversation, this all will lead to more conscious, clear, and connected awakening for all living things. I am hopeful to continue to raise the conscious vibration in our communities. To that end, you may have noticed the new accessories and body products at the studio. Kaibay Oils are organic oils blended with pure essential oils. My mother mixes these up in her home with love and care, using her own healing hands (she is also a craniosacral and myofascial massage therapist so these hands share some amazing energy). These oils will not clog your pores, but, will nurture your body, your lymph, and your organs with love and fluidity. 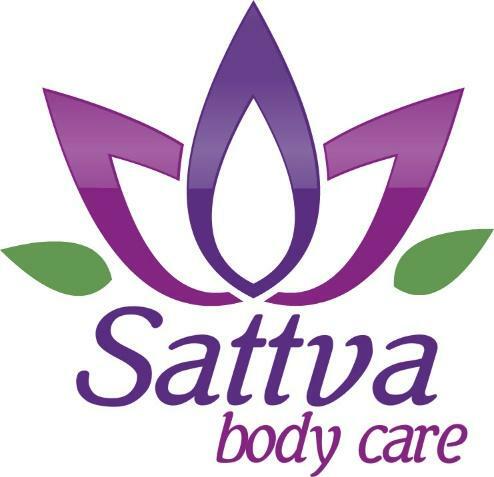 We also started carrying Sattva Body Care deodorants. Made of natural oils and essential oils, this product line too was created with consciousness. This month’s blog shares the story of how this line of products came into being. We are heading into a time of introspection as the seasons turn darker and colder. We are also heading into one of the biggest consumer driven times of the years with the holidays fast approaching. May that be an offering to us all to begin to reflect more clearly on the choices we are making. Are you awake or sleeping in this world? Are you clear with your relation to all things? Time, relationships, food, products. Do your decisions come from a place of awareness and knowing? We are human and of course, being awake and conscious and clear requires ongoing work. Let the Lila community support you in the journey of carving out more care, attention, and awareness to all that surrounds you and creates your reality in this shared world. 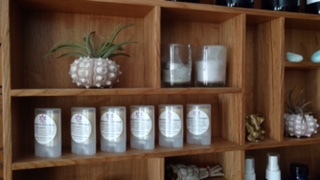 Sattva body care was created out of my need for natural products that actually work! My need turned out to be others need as well. Here is a bit of the story and some frequently asked questions. A few years ago, I got sick… I began to take a deeper look into the food I was eating and what I was putting on my body. It wasn’t long before I stopped buying anything with synthetic and even harmful substances. I used these for many years not knowing they were blocking my skin and lymph system’s natural functions, possibly even messing with my hormones. As I began to read labels and research, the truth was clear to me. These ingredients were not what I wanted to put on myself. I became a conscious consumer. When it came to deodorant, the natural options I found didn’t work well at all! As a yoga teacher and someone who is very sensitive to smells, this was the catalyst for me concocting something that would work. At first, I just made a batch for myself. I still hadn’t considered that I could make it for others too! When I did begin to share, it was obvious that this was needed in my community and beyond. That’s how this mini business came to be. Now I make deodorant, lip-balm, healing salve, natural sunscreen, yoga mat refresh, skin brightening sugar scrub and healing/moisture salve, all plant based. Sattva to me, represents integrity, and our highest value of caring for our whole being. Our bodies, a piece of that whole, are our greatest gift. Sattva in Sanskrit, an ancient yoga language, can mean “pure,” “clarity,” and “balanced.” It was only fitting that this term bridge the gap between yoga philosophy and body care products that get us thinking differently about what we are putting on our skin/in our bodies. Our skin is porous and what we apply on top eventually penetrates into the lymph, blood and liver. Sattva body care – Probiotic Deodorant offers an opportunity to cleanse the skin and lymph system with natural oils and essential oils, similarly to what’s called Abhyanga, or self-massage with oils. This process in Ayurveda (the sister science to yoga) is a first, and integral step in keeping the body healthy. This practice directly benefits our immune system as well. Thanks for reading and Injoy! Yes! For most people it works well! Just as probiotics in the digestive system create a healthy mix of friendly bacteria, probiotics on the outside neutralize any off-putting bacteria under the arm. Therapeutic grade essential oils can have so many healing properties. In this deodorant blend I chose Lavender for its cooling/calming effects and skin renewal properties; Ylang Ylang for its cooling/balancing effects and intoxicating fragrance; Grapefruit for its fresh fragrance, anti-bacterial and detoxing properties. The oils are not there to mask any scents. Is baking soda an ingredient? Yes, a very small amount. There is a synergistic affect with the ingredients. I have tried omitting one or 2 of the ingredients and it never works as well. If you are sensitive to baking soda I suggest still trying it. I use less than 1.5tsp per large deodorant. Are there any downfalls to your deodorant? There may be an adjustment period for your body: This might mean some extra smelly or sweaty days. My experience is that this goes away as the body comes back into balance. Natural products in general are not going to have the same texture as conventional products: If you can let go of any expectations that natural products should be just like it’s conventional counterpart, you will have space to appreciate the products for what they are. Oil based products do not do well with some synthetic shirt materials. There can be staining or dark spots that occur with multiple use. This does not happen with natural materials like cotton or most “work out” type clothes. For best results apply a small amount of deodorant and then rub in. Less can be more! This is the case for my deodorant. You do not need much at all. I recommend leaving the deodorant stick below or just at the plastic rim of the container. It will feel as though you are spreading a thin layer, rather than slathering it on. Again, you can always rub it in. Anyone with hair in the underarm area will want to do this. Consider that the foods you eat influence your body odor. Try this out on your own!